In Geneva, Lausanne, Aigle or elsewhere, our spectators were able to discover special screenings and events throughout 2018 thanks to PULSE! It was an opportunity for us to meet our audiences and make ourselves known while developing our project with YOU! by Jon Dunham (USA,2017), narrated by Matt Damon. Suggested age: 16. ​BOSTON tells the story of the oldest marathon in the world, the scene of many firsts that paved the way for modern marathon and participatory mass sports. 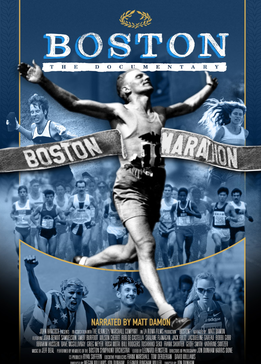 The film evolves from its humble origins in 1897 with only 15 runners, to the first runners in 1967, through the tragedy of 2013, and finally the 2014 triumph of the Boston Marathon. In the presence of Jon Dunham (Boston filmmaker), Laura Hrebec (Lausanne Marathon 2017 champion), Dominique Chauvelier (four-time French Marathon champion) and Jim Pulcrano (IMD professor). By Sarah Menzies (USA, 2018). All audiences. 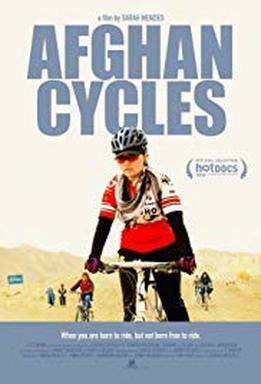 AFGHAN CYCLES by Sarah Menzies is a documentary illustrating the challenges of a generation of Afghan women pedaling for their own revolution. These young women challenge gender and cultural barriers by using the bicycle as a vehicle for freedom and social change. This screening is organized by PULSE! as a "Side Event to the 2018 United Nations Human Rights Council Social Forum: Sports, the Olympic Ideal and Human Rights". In the presence of Shannon L. Galpin (producer, American activist, author and Adventurer of the Year in 2013 by National Geographic), Karim Ghezraoui (High Commissioner for Human Rights) and Paul-Henri Rey to replace Frédéric Magné (UCI Director). By Jennifer Fox (USA, 2018) with Laura Dern. Legal age: 16. The film focuses on Jennifer (Laura Dern), a documentary filmmaker forced to re-evaluate a teenage relationship with her two coaches, a riding instructor and her friend coach. For her first feature film at the Sundance Film Festival, Jennifer Fox is presenting a very personal film about a trauma she suffered as a teenager. THE TALE paints a beautiful portrait of a woman who must, in order to better live her future, understand her traumatic past. This screening is organized as "Side Event to the 2018 United Nations Human Rights Council Social Forum: Sports, the Olympic Ideal and Human Rights". In the presence of Jennifer Fox, producer and director and Homayra Sellier (president d’Innocence en Danger) and Gigi Alford (Sport and Human Rights at UNI Global Union). By Craig Gillespie (USA, 2017) with Margot Robbie.Legal age: 14/12. ​The film adaptation of the scandal involving skaters Tonya Harding and Nancy Kerrigan, with Margot Robbie as the ice witch. In 1994, the world of sport was shocked to learn that Nancy Kerrigan (Caitlin Carver), a young figure skater with a bright future, was savagely attacked. Even more shocking, champion Tonya Harding (Margot Robbie) and her family are suspected of planning and carrying out the attack. I, TONYA, brilliantly analyzes the most famous, absurd, tragic and hilarious scandal in the history of figure skating and the Olympic Games. In the presence of Jean-Philippe Rapp (journalist and former director of the FIFAD), Corinne Djoungong (figure skating coach for the next generation of Swiss Olympic), Diane Gerencser (former figure skater) and Per Bo Mahler (sports medicine specialist). 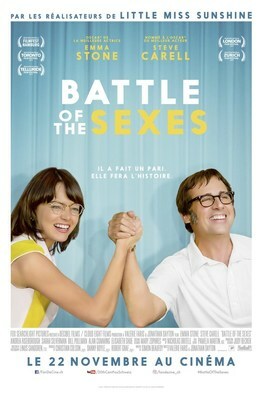 By Jonathan Dayton and Valerie Faris (USA, 2017) with Emma Stone and Steve Carell. All audiences. In the presence of Christiane Jolissaint (tenniswoman who played against Billie Jean King), Caroline Dayer (researcher at the University of Geneva on gender discrimination) and Pierre Morath (coach and director). By Janus Metz (USA,2017) with Sverrir Gudnason and Shia LaBeouf. Legal age:6/4. 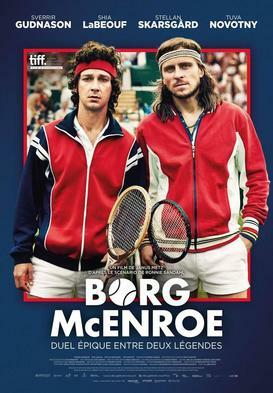 Borg/McEnroe is a film about one of the world's greatest icons, Björn Borg, and his main rival, the young and talented John McEnroe, as well as their legendary duel during the 1980 Wimbledon tournament. It is the story of two men who changed the face of tennis and became a legend, but also of the price they had to pay. In the presence of Mariana Simionescu and Timea Bacsinszky (tenniswomen), Gérard Camy (professor and film historian) and Pierre Morath (coach and director of "Free To Run").